Response: Prominent cancer hospitals have been sharing their brands with smaller hospitals in the community. We conducted a series of nationally representative surveys and found that a significant proportion of the U.S. public assumes that the safety of care is the same at all hospitals that share the same respected brand. In an effort to determine if safety was in fact the same, we examined complex surgical procedures in the Medicare database. We compared the chance of dying within 90 days of surgery between top-ranked hospitals, and the affiliate hospitals that share their brands. When taking into account differences in patient age, health, and type of procedure, Medicare patients were 1.4 times more likely to die after surgery at the affiliate hospitals, compared to those having surgery at the top-ranked cancer hospitals. Response: The End of Life Option Act permits terminally ill Californians to request a prescription for medications that would hasten death, providing they meet all requirements of the law and follow the steps outlined by their health care provider. However, the law also allows health care providers and organizations to opt out of participating. Until now, we did not know how common it was for entire health care organizations to opt out. In this study, we found that 61% of the surveyed hospitals prohibited physician participation in the End of Life Option Act. Thirty-nine percent of hospitals did allow participation in the law; these participating hospitals were less likely to be religiously affiliated and more likely to be nonprofit. 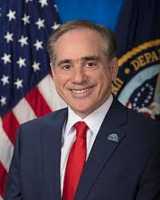 Response: I came to VA in 2015 as Under Secretary for Health, as a result of the 2014 wait time crisis. At that time, it was determined that in some locations, veterans had been waiting for care for too long and there were allegations that this had resulted in harm to a number of veterans. I was in the private sector at the time, but was asked by President Obama to come and help improve the situation. Upon my arrival we created systems to determine which veterans were waiting for urgent healthcare and which ones for routine care. From here, we established same day services for all veterans waiting for urgent care through primary care and behavioral health access points. This goal was achieved nationwide at the end of 2016. When I became Secretary in 2017, we began publishing our wait time data for all to see, so that veterans had accurate information on which to base their choices on and to provide transparency into where we were improving and where we needed to focus our efforts. In addition, through programmatic and legislative efforts, we expanded our utilization of private sector options so that veterans with clinical needs would be able to get better access to care. This study was meant to determine whether our efforts from 2014 had resulted in improvements to access and in addition how access to care in the VA compared to access in the private sector. Despite limitations in the data available from the private sector (since others do not publish their actual wait time data similar to VA) we used a data set that we felt had some applicability for these comparisons. MedicalResearch.com editor’s note: As part of an ongoing series on changes in the health care landscape, we interviewed Ms. Myra Norton, President and COO of Pegged Software. Pegged Software uses an advanced “analytics engine to selecting job candidates based on the actual determinants of high performance”, specifically in the health care field. Ms. Norton has a special interest in gender and hospital hiring practices. MedicalResearch.com: Given that women earn 78 cents to the dollar in regards to men, can big data improve this pay inequity? If so, how does this happen? Ms. Norton: Big data and predictive analytics alone will not solve the problem of pay inequality. What these tools can do is illuminate talent in a way that removes the biases that undermine equality across gender, ethnicity, socio-economic status and other dimensions. For example, predictive analytics allows organizations to identify candidates with the highest likelihood of improving patient experience, being retained, remaining an engaged employee, lowering thirty day readmissions, and positively impacting other organizational outcomes. Dr. Jaffe: In 2001, we set out to improve blood pressure control in among Kaiser Permanente (KP) members in Northern California, and we ended up creating one of the largest, community-based hypertension programs in the nation. The paper published in JAMA explores how we combined a number of innovations, including a patient registry, single-pill combination therapy drugs and more, to nearly double blood pressure control rates. If you had told us at the onset that blood pressure control among members would be more than 80 percent, and it was actually almost 90 percent in 2011, we wouldn’t have believed you. These results are truly incredible. During the study period, hypertension control increased by more than 35 percent from 43.6 percent to 80.4 percent in Kaiser Permanente Northern California between 2001 and 2009. In contrast, the national mean control rate increased from 55.4 percent to 64.1 percent during that period.